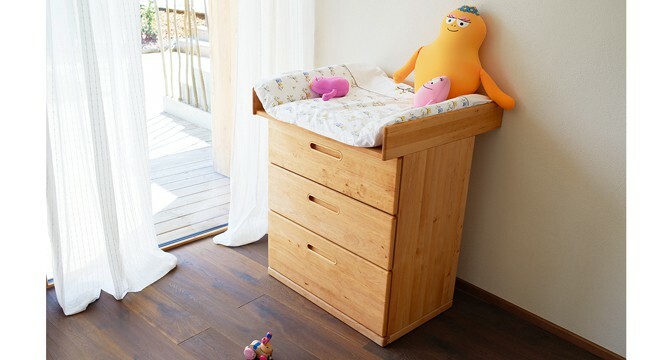 With its cot and Nappy-changing Table, our mobile natural wood furniture range even has something for your very youngest. 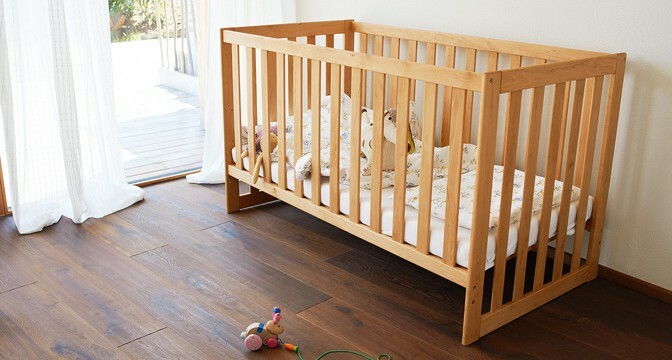 As your baby becomes more mobile, the two removable slats can be taken out to allow your child to climb into or out of bed by themselves. 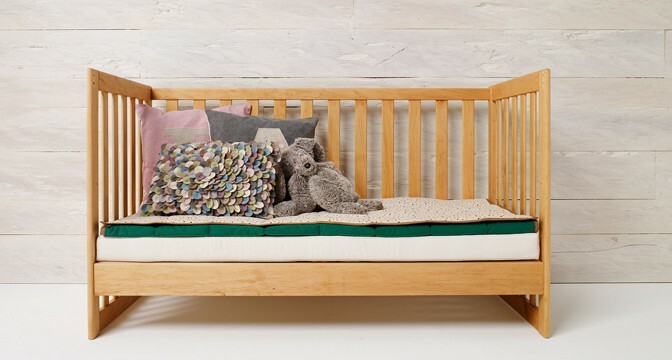 Once they have outgrown the cot entirely, it can be reassembled to form a comfy sofa. And the magic doesn’t stop there: the mat on the Nappy-changing Table can also be transformed into a practical Shelving Unit when no longer required.